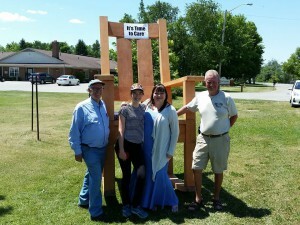 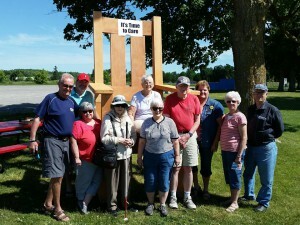 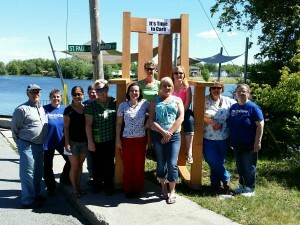 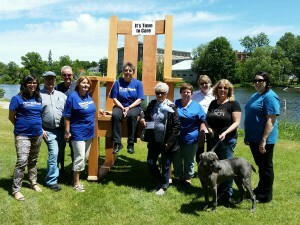 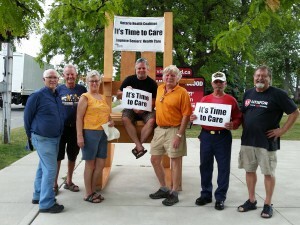 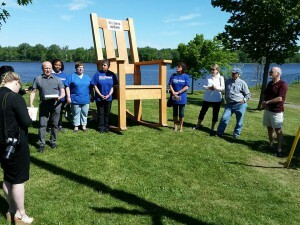 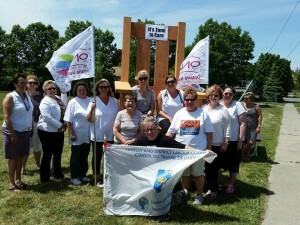 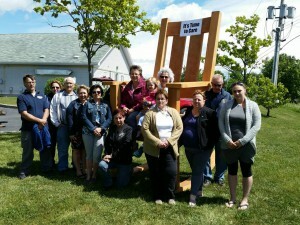 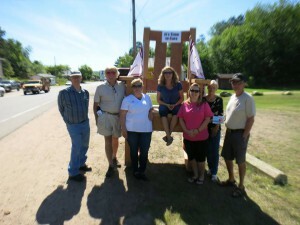 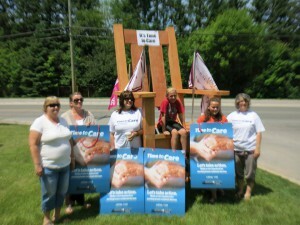 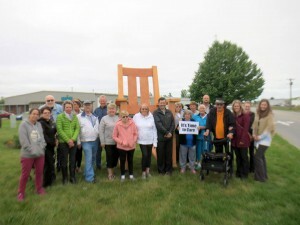 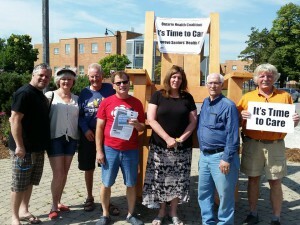 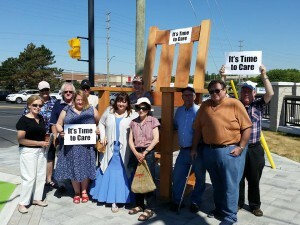 The Ontario Health Coalition’s giant?10-foot tall rocking chair with its message of the urgent need to bring in a 4-hour per day minimum care standard and improve access to long-term care has visited 17 communities (only 2 more to go!) 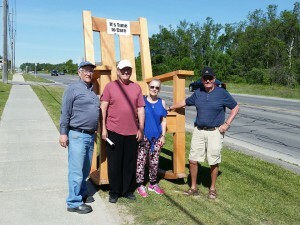 including Prescott, Plantagenet, Orleans, Carleton Place, Almonte, Barry’s Bay, Bancroft, Norwood, Lindsay, Newmarket, Alliston, King City, Orangeville, Exeter, Amherstburg, Essex & St. Thomas. 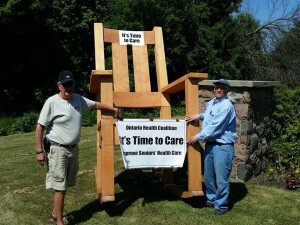 Tillsonburg 1 p.m.,?Maple Manor Nursing Home, 73 Bidwell St.
LET’S DEMAND IMPROVED CARE FOR ONTARIO’S?LONG TERM CARE HOMES!